Russia, New Delhi’s trusted strategic partner is destined to play a vital role in ensuring India’s energy security in the coming decades. 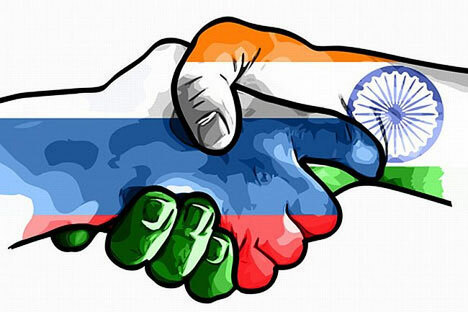 India and Russia established a deep-rooted friendship and diplomatic relationship on April 17, 1947, marking the beginning of cooperation and friendship. The civilizational links, spiritual and cultural affinities of both the nations forms the basis of deep understanding between each other and the mutually beneficial relationship, which has always defined India-Russia cooperation as time-tested and rock solid. As the saying goes that an “old friend is worth two new ones,” India and Russia follow similar feelings. Russia, New Delhi’s trusted strategic partner is destined to play a vital role in ensuring India’s energy security in the coming decades. India’s imports, mostly from the volatile region of Middle East, account for 75 percent of the country’s energy needs, and it is likely to grow to 85-90 percent. To sustain the current high rate of growth, India needs secure and diversified sources of energy import. According to the International Energy Agency, India would be the third largest energy consumer in the world by 2025 after the US and China. Indo-Russian energy cooperation is expected to get a boost in the coming years. The former Soviet Union played a major role in building India’s energy sector by building tens of hydropower stations, developing India’s coal industry, finding oil in Indian soil and helping in setting up India’s energy major ONGC. Indo-Russian energy cooperation acquired new dimensions in the post-Soviet period, particularly in the hydrocarbon and nuclear sector. India has invested $2.8 billion in the Sakhalin-1 project, controlling 20 percent stakes in the venture and has purchased Imperial Energy, a London-listed oil major in the Tomsk region. These are India’s largest investments abroad. (Nord Imperial, a subsidiary of Imperial Energy, has been among the companies that submitted applications to bid for developing Russia’s Trebs and Titov oil deposits in the Arctic). India has been eying energy projects at Timon Pechora basin and Vankor in the East Siberia. India is also considering an option to invest around $1.5 billion for an opportunity in Yamal peninsula that houses one-fifth of global natural gas reserves, offered by Russian firm Navatek. Russia’s ‘Project Yenisey’ involves an upstream hydrocarbon block-linked natural gas liquefaction project and liquefied natural gas marketing. The Indian state-run energy majors that are exploring the possibility of having a strong footing in Russia’s energy sector include ONGC, GAIL & Petronet LNG. GAIL plans to invest up to Rs 8000 crore (around $1.5 billion) in the Yamal-Nanets region and has the option to market that LNG or even bring it back to India. Novatek has a 51 percent stake in OAO Yamal LNG, which has the licence for exploration and development of the South Tambeyskoye field located in the northeast of the Yamal peninsula. India is an energy deficient country and Russia has an energy surplus and therefore, a mutual interest lies in this sector. India’s policy makers are trying to promote energy cooperation based on political understanding. The Indian side feels that there is a clear compatibility between India's needs and Russia's resources. The Indian side is adopting a policy to implement the experience of Sakhalin-1 to other oilfields in Russia. India’s policy is to promote the idea of its willingness to offer Russian companies the opportunity to participate in Indian oil and gas projects, both upstream and downstream, as well as to undertake joint exploration in other countries too. India has geared-up its energy diplomacy and is moving quickly to penetrate in the Russian energy market. The Indian side feels that though these two countries are not geographically contiguous it is not a hindrance for cooperation since the international oil and gas trade is not based on contiguity. India's interest in the Russian energy sector has already been proved by the country’s investment in Sakhalin-1. While public sector energy companies from India have already made considerable investments in Russia, now India is also promoting its private sector companies for investments in downstream petroleum units in Russia in return for a stake in petroleum refineries there. India has proposed an exploration venture with Russian gas majors Gazprom and Rosneft and sought a stake in the Sakhalin-III oil and gas project in the Far East. The Indian side has proposed joint venture to work on gas liquefactions projects in Russian offshore fields for Shipment to India. Indian companies are being welcomed due to Indo-Russian strong strategic ties. India is also looking for options for transporting Russian crude to India through a pipeline link from Xinjiang to India. But this depends on a joint agreement between Russia-Kazakhstan-China-India. The proposal is such, where crude from Russia could be transported via 1,240 kilometre-long pipeline from Atasu in northwest Kazakhstan to China’s Xinjiang province. Depending on the robustness of multilateral initiatives, a pipeline could be constructed to connect China’s Xinjiang province to India. This pipeline could enter the Xinjiang province in China at Altai, climb the Tian Shan Mountains and extend southward to the Kunlun Mountains in India. India’s ONGC has proposed another energy highway to construct a Russia-China-India (RCI) pipeline. The RCI is supposed to stretch from Russia through Turkmenistan, Uzbekistan, Kazakhstan, to Kashgar in Chinese Xinjiang. It will enter India via Laddakh, crossing the Siachen glaciers and the India-China Line of Control or alternatively through Himachal Pradesh to supply gas to Northern India. According to ONGC (India) officials, the economic and technical aspects of the proposal remain undetermined. The proposed pipeline would extend over an extremely long stretch of varied terrain (construction of the pipeline may cost somewhere up to $15 Billion, or slightly less if connected through already operating pipelines). Tatarstan, one of the most economically developed regions in Russia, is now making news in India’s corporate circles due to Reliance Industries Limited’s (RIL) petrochemical plans. Tatarstan and RIL have agreed to set up a joint working group of specialists to develop strategic partnership in petrochemical and oil refining sectors, especially in crude oil refining. The agreement was reached during the visit of a high-profile delegation led by Tatarstan’s President Rustam Minnikhanov to Jamnagar in Gujarat (India) on March this year. The Russia’s energy strategy towards Asia clearly mentions India as one of the important target countries along with Japan, China, and Korea. India is carefully taking note of Russia’s hydrocarbon vision, as now India wants to have a strong presence in Russia’s massive energy sector that can help ensure India’s vital energy security. All these indicate that both the nations can expand the cooperation in the energy sector too as they did in the defence sector. Amidst all these developments there is a hope that India-Russia energy cooperation will scale towards new heights. Nivedita Das Kundu is assistant director, (research), Indian Council for Social Science Research, New Delhi, India and a foreign policy analyst.